More like this, please. The more Rudy accidentally farts these spoonfuls of reality, Trump's legal jeopardy worsens. 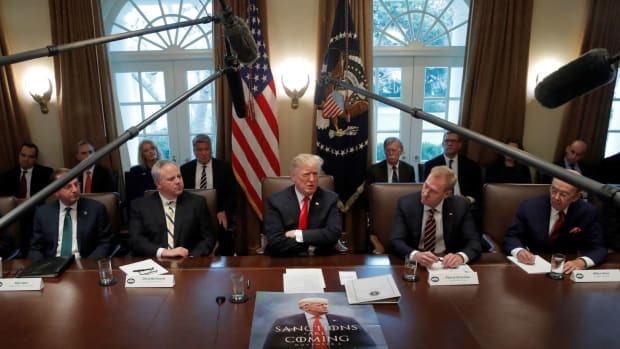 The most amazing and simultaneously frustrating thing about Donald Trump’s t-shirt cannon of lies, say nothing of the lies told by his subordinates, is that every once in a while they all end up accidentally blurting the truth. The word “accidentally” gets extra emphasis here because most of the time, they’re tricked or goaded into revealing the truth. It’s amazing because it confirms the Trumps’ criminality, while it’s frustrating because it ought to be game over for the entire roundtable of crooks and dickheads, and yet we&apos;re not quite there. 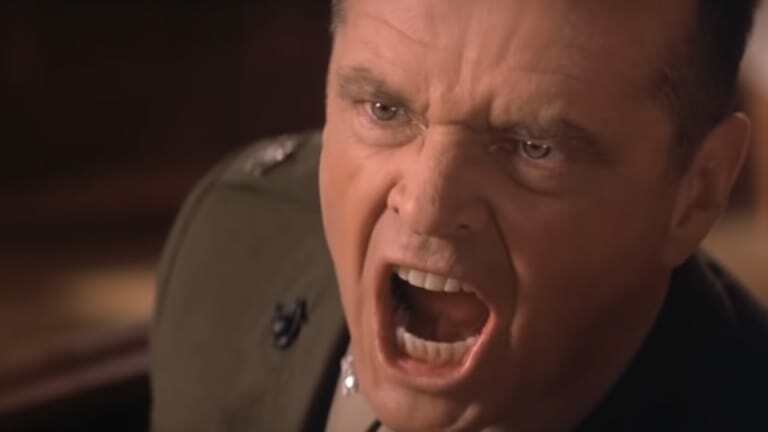 The best comparison to draw here is that of A Few Good Men when Marine Col. Nathan Jessup, played by Jack Nicholson, is coerced into loudly revealing that he, in fact, ordered a “code red” that led to the death of fellow Marine. Tom Cruise’s “Did you order the code red?” then Jack Nicholson’s astounding “You’re goddamn right I did!” will forever be linked, I believe, with some of the most puzzlingly self-incriminatory blurts by Trump and his disciples. Don Junior remains the unrivaled champion of the “You’re goddamn right I did!” accidental truth dump when he inexplicably and for us, gratefully released his emails with Rob Goldstone regarding the purpose and planning for the notorious “Trump Tower meeting” featuring Junior, Paul Manafort, and Jared Kushner along with a gaggle of Russian operatives dispatched by the Kremlin to offer the Trumps dirt on Hillary Clinton. Weirdly, Junior thought the email chain would be exculpatory, but it only ended up confirming what we all suspected about Trump and the Russians. Thanks, Junior, and good luck in federal prison. 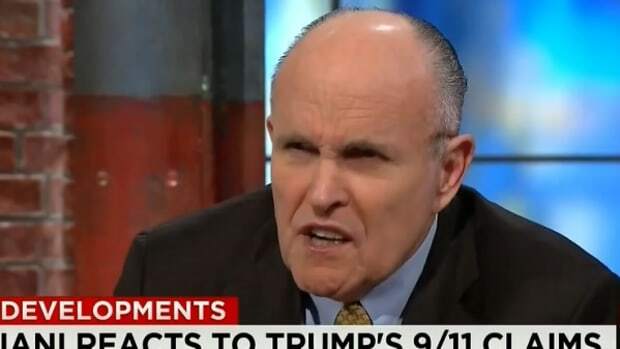 However, Rudy Giuliani is absolutely nipping at Junior’s heels in this race to prison with not one but several “You’re goddamn right I did!” outbursts in just the past several days alone. While it’s been flushed down the memory hole by the explosive force of the Buzzfeed News item regarding Michael Cohen and the Moscow Project (aka. 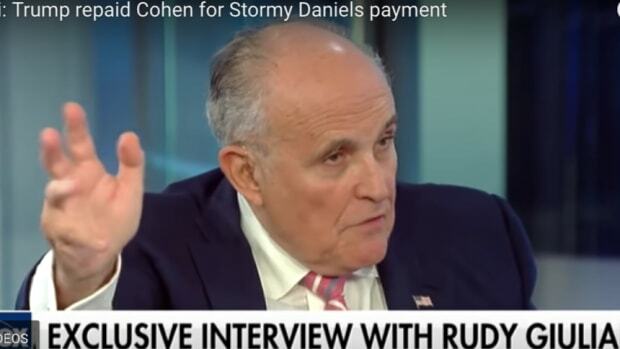 Trump Tower Moscow), the first Rudy thing from the past week occurred when he was needled by one of the several Cuomo boys into confirming that there was collusion -- a criminal conspiracy -- between members of the Trump campaign and Russia. 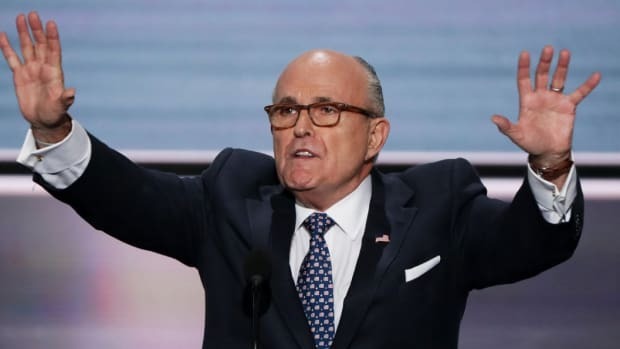 Somehow, Rudy escaped being fired by the “You’re fired!” guy (Trump is afraid of personally firing people). So, as a special thanks to Boss Transfats, Rudy did it again. On Sunday, Trump&apos;s TV lawyer was provoked into accidentally revealing the truth. Twice. First, Rudy appeared to confirm that the spirit of the Buzzfeed News item about whether Trump ordered Michael Cohen to lie to Congress about the Moscow Project. He didn’t necessarily say there was an order, but he certainly confirmed that Trump and Cohen were coordinating their messages in advance of Cohen’s false congressional testimony. TAPPER: "You just acknowledged that President Trump might have talked to [Cohen] about his testimony." GIULIANI: "And so what if he talked to him about it?" While this falls short of Trump literally ordering Cohen to lie, it seems rather obvious that Trump and Cohen, per Rudy’s remarks, were certainly interested in maintaining consistency with their lies about the project. If Trump instructed his lawyers to tell Cohen’s lawyers that he was interested in perpetuating a tall tale about the project, we’re talking about the President of the United States handing down a tactic to Cohen, the non-president and the subordinate to Trump. There doesn’t have to have been an explicit order for Cohen and his team to get the message to play along with Trump’s fuckery. And then there was Rudy’s confirmation that, indeed, the negotiations over the Moscow Project carried on well beyond mid-Summer of 2016. 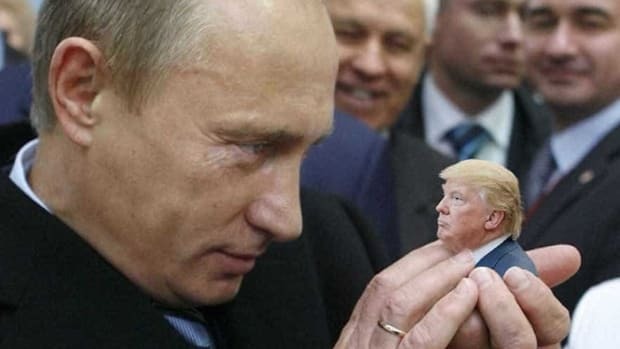 Rudy told Chuck Todd that, yeah, the Trump Tower Moscow deal was being ironed out all the way up to Election Day 2016 despite the fact that Trump has stated on countless occasions, both as a candidate and as president, that he doesn’t have any business with the Russians. 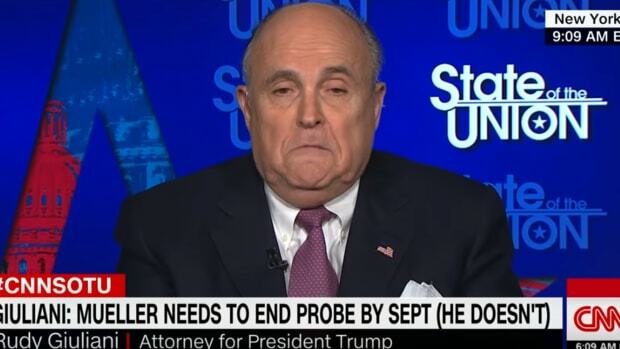 GIULIANI: Yeah, probably up to… could be, up to as far as October, November. To put all of that into perspective: Cohen perjured himself to Congress, perhaps in coordination with Trump and his legal team, that the negotiations ended in January of 2016. Court documents have revealed evidence that the negotiations ended in June of 2016. But now, Rudy let-fly that the whole deal was still a thing until "October [or] November" of 2016, lending further clarity to a possible ongoing quid pro quo involving the lifting of sanctions in exchange for help with the Moscow deal and with the election. More like this, please. The more Trump&apos;s TV lawyer accidentally farts these spoonfuls of reality, Trump&apos;s legal jeopardy worsens. Accordingly, we can add a corollary to my rule: Rudy Giuliani always makes things worse for Trump. 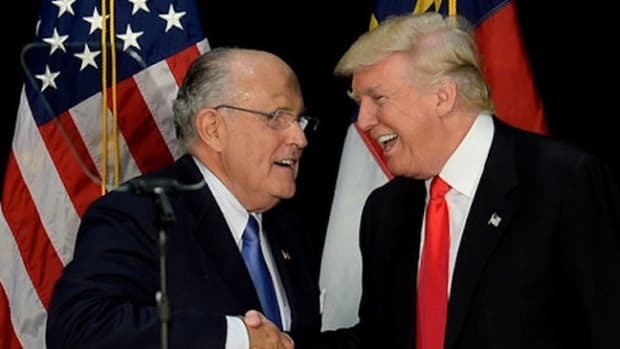 So, by all means, here’s to hoping Trump continues to dispatch Rudy to the cable networks where he&apos;s free to talk and talk and talk. With thousands of lies by Trump and his Red Hats, the truth never hurts.